Groups—like the people in them—come in all forms, and often they don’t fit a standard mold. 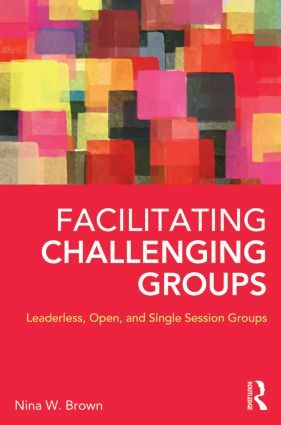 Single-session, leaderless, and open groups are three of the most common kinds of nonstandard groups, but participants and facilitators of these kinds of groups have few, if any, resources at their disposal when they try to confront the unique challenges that their group structures present. Facilitating Challenging Groups confronts these challenges head on and offers activities, tools, tips, and techniques vital to everyone from the smallest self-help group to the largest human-relations training session. Readers will come away from this book with a deep understanding of each group’s unique needs, the leader’s role where applicable, and concrete strategies for developing the two traits most important to any successful group: universality and hope. Nina Brown, EdD, LPC, FAGPA, is pofessor and eminent scholar of counseling at Old Dominion University. She is a fellow of the American Group Psychotherapy Association and the author of dozens of books, including Creative Activities for Group Therapy and Psychoeducational Groups, 3rd ed.